Kitchen & Bath Designer, Julia Enriquez met her clients as they came in to the Astro showroom looking to change and update their kitchen. 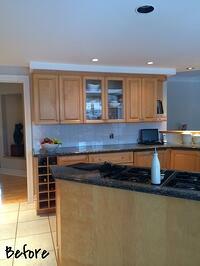 They were ready for a fresh start and to take on the challenge of remodeling. As an award-winning Kitchen & Bath specialist, with countless years of experience under her belt, Julia was the perfect fit for the project. The clients wanted a classic minimalistic look. Designer, Julia knew what she had to do in order to create the ideal design for this couple. By adding a simple application for traditional finishes on a contemporary door style, or the use of more uncluttered design it is possible to create a relaxed, yet sophisticated kitchen that provides a perfect gathering place. A blend of the clean line doors and soft edge cabinet fronts were the typical choice in the creation of this classic space that is not only functional and practical but provide beautiful environment for the eye. The island is the central focal point of the kitchen, with a beautifully crafted two-layer walnut butcher block and a slight contrast to the dark granite countertop. 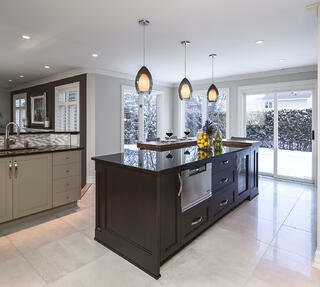 The detailing on the legs of the island gives the space a more traditional look. We were looking for a design concept that would blend in perfectly with the classic feel of their home but one that was out of the box and forward thinking. 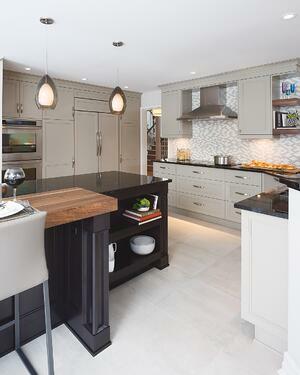 This was done through the use of different materials and unconventional colour scheme. 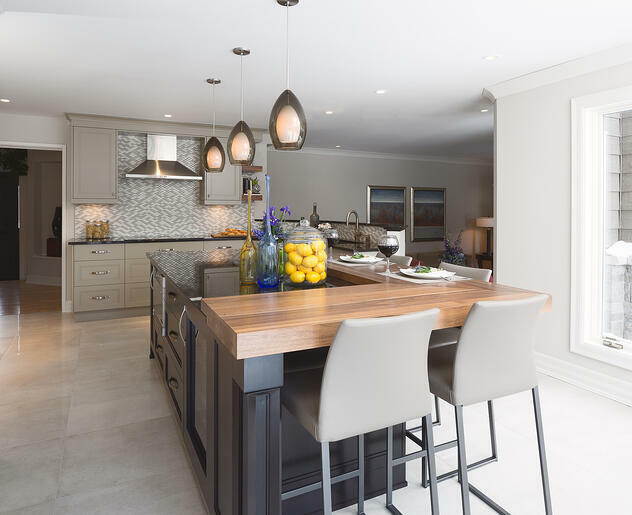 The grey-taupe cabinetry colour gives the homeowners the warm feel they were hoping for, while still maintaining a classic timeless look. 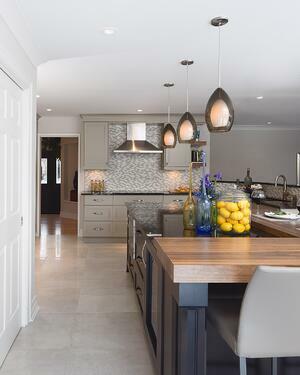 The different materials & colours, clean lines, yet strong details result in a beautiful refined space. 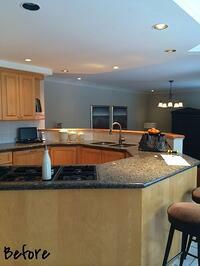 We hope you enjoyed this edition of our Kitchen Transformation blog series. Check out more of our Before & After stories, up on our blog! 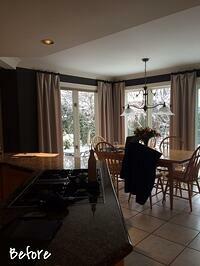 Are you ready for a change in your home? Come in to Astro and meet with one our talented design professionals, who can help update your space. Whether it be a simple or a larger project, our designer's are ready for the challenge! Book a free In-Store Consultation to start planning your dream space.